Welcome! 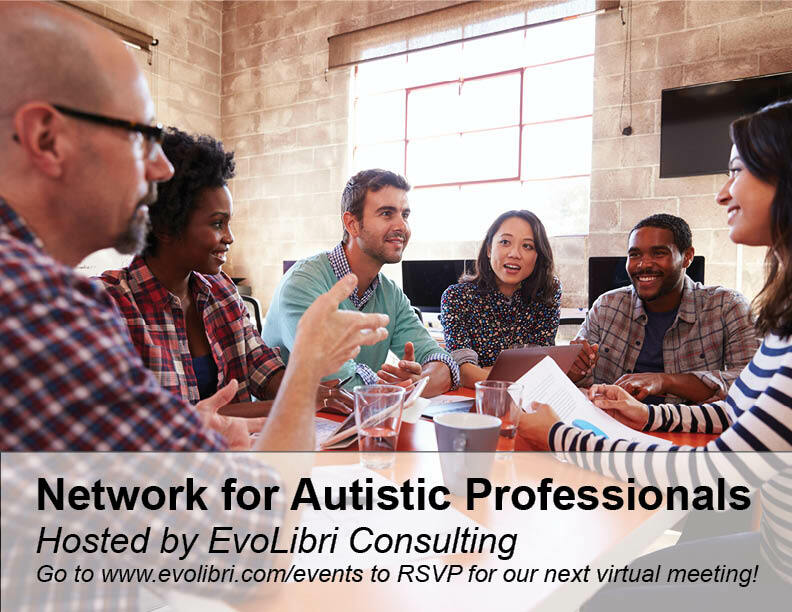 This is a monthly meeting online for neurodiverse people to learn, network, and share. This is a free event, and you are welcome to join us, participate or just lurk in the corner! All events will be recorded and posted later on the internet so others can access the information. We are seeking neurodiverse and neurotypical presenters, so please reach out to Jan to pitch in! We hope to see you online for this lively, non-judgmental group! Follow this link to register ONE TIME, then mark your calendar for the THIRD THURSDAY at 7 pm PST for future events!